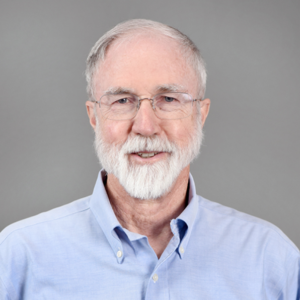 Dr. James P. Collins, Virginia M. Ullman Professor of Natural History and the Environment at Arizona State University, will present a lecture titled “Extinction in Our Times: Global Amphibian Decline” at 3:30 p.m. April 1 in University Hall, Room 134. The talk is sponsored by Louisiana Tech’s Chapter of Sigma Xi Research Honor Society and the School of Biological Sciences. The event is free and open to the public. Members of the public are encouraged to attend. 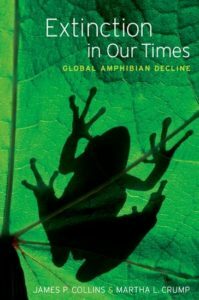 A reception will follow the talk, and Collins will sign copies of his book (co-authored with Martha L. Crump) about amphibian declines and published by Oxford University Press. The campus bookstore will have copies available for purchase at the reception. Collins was head of the Biological Sciences Directorate at NSF and is a Fellow of the American Association for the Advancement of Science, a Fellow of the Association for Women in Science, and Past President of the American Institute of Biological Sciences. He currently serves as chair of the Board on Life Sciences of the U.S. National Academies of Sciences, Engineering, and Medicine and on the Board of Directors of the Association of American Colleges and Universities. He has provided expert testimony to the U.S. House of Representatives on science education and funding. In 2018, Collins was honored with the Henry S. Fitch Award for Excellence in Herpetology from the American Society of Ichthyologists and Herpetologists. Collins’ research group studies host-pathogen biology and its relationship to the decline and extinction of species, the factors that have shaped Ecology’s development as a discipline, as well as Ecological Ethics. He has authored or co-authored more than 150 scientific articles. For more information contact Natalie Clay, at nclay@latech.edu or 318.257.3197.